If your little girl wants to look like Padme this Halloween then she needs to be ready to fight like this mighty princess-warrior! Padme went up against thousands and thousands of droids and other alien soldiers that fought for the Empire. You may wonder how she made it through all those battles without so much as a scratch here and a bump there. She wasn’t a Jedi or a trained soldier, right? So, what was it about Padme that helped her survive against all odds? Well, we think it has something to do with her signature Blaster & Holster combo. Padme was always able to get the quick draw against whatever enemy she went against. 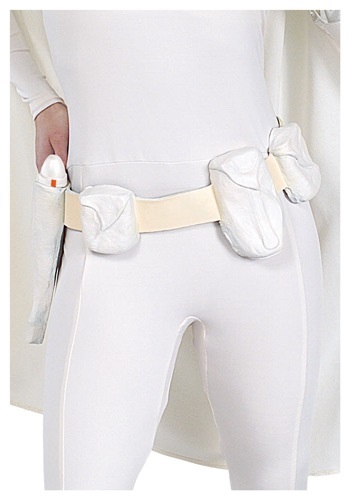 Now your kiddo can have this kind of speed and accuracy when you grab her this Kids Padme Amidala Blaster & Holster! She’ll have no problem defending the galaxy from the evils of the Empire and the dark side. Now, all she needs is an army of Jedi to back her up and she’ll be ready for anything this Halloween!